Mussolini's headquarters in Rome. 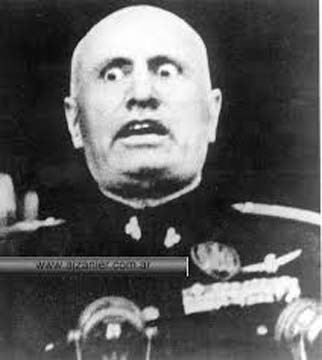 Mussolini never told you "No!" He was more about "Yes!,", more about kind and gentle persuasion to his point of view! Today was a long day spent behind the computer, applying for art opportunities. Most will say "No," but maybe, just maybe I will get one "Yes!" After having faced what must be thousands of "No! No! No!" in my life, suddenly I find myself inspired by a picture of Mussolini's headquarters in Rome, covered in "Yes! Yes! Yes!" Perhaps this desire for more "Yes!" 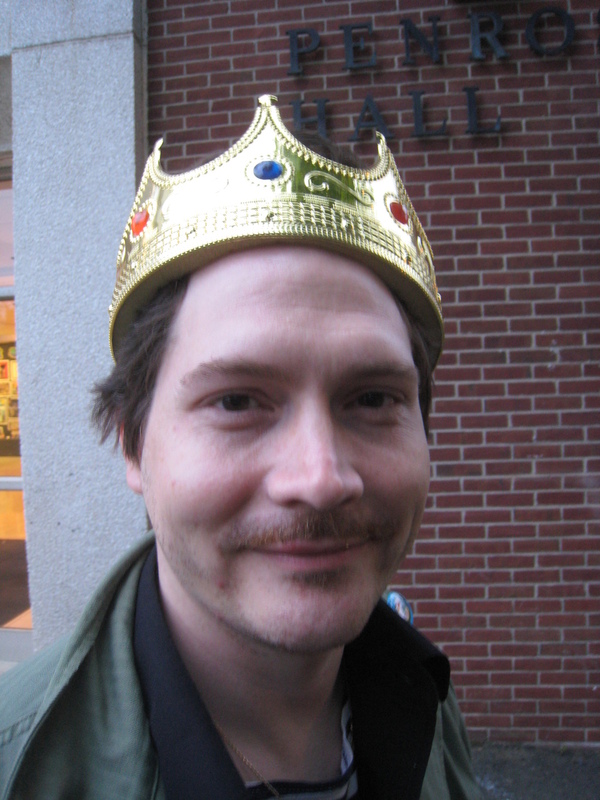 in my life, the desire for a sense of autonomy and maybe absolute power, has provoked my interest in dictators. There is always this desire more control, more influence on the outcome of my life and my fate. I'm treading some gray areas here, examining my attraction for being a dictator, while maintaining a sense of criticality. Of course, all of this is encapsulated with a sense of humor. And there is always a lesson to be found. Lately I've been fascinated by dictators, and for a variety of reasons. I'm interested in egocentric personalities, how absolute power corrupts absolutely, the tragedy's of their downfall and how they took many other unfortunate people with them, their eccentricities, the strange appeal of the military uniform fetish with all the garish medals, etc. My investigations have led me to some interesting facts. For example, Francois "Papa Doc" Duvalier of Haiti claimed to have killed JFK with a Voo-Doo curse, and when a political rival supposedly turned himself into a black dog in order to escape execution, Papa Doc had all the black dogs in Haiti killed. Nicolai Ceausescu of Romania had all film footage of him edited so that he never blinked and appointed his dog a Colonel in the Romanian Army. Muammar Gaddafi had an Amazonian body guard and designed a car called the Libyan Rocket. Their histories only get weirder from there. I am hoping that my project will reflect some of the craziness that seems to come part and parcel with being a dictator. While obviously satirical in nature, I also want to investigate some of my own sympathies and attraction toward the ideal of having absolute power. What would I do if I had absolute power? What would you do? Ideally, I would want my audience to walk away wondering the same thing. I want to approach this project a sense of humor, but also with some criticality and a perspective of distance with respect for the people who they oppressed. I want to entertain with my series, but I also want to pose some difficult questions and see if a lesson might be found somewhere in this. Clearly nothing is black and white. In this world there is plenty of gray to consider. I want the art in this series, and the investigations leading up to them, to navigate some of this extremely gray area. It is too easy to demonize someone and paint them as a monster. These were human beings. By recognizing that these dictators were people just like us, they can serve as a warning and a reminder that if we are not careful, we, too, could end up behaving in much the same way. 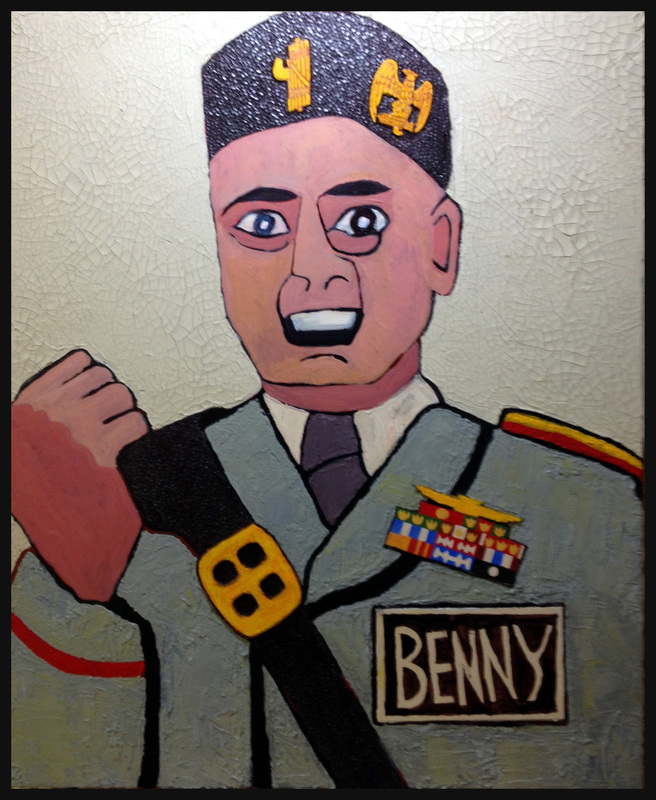 My project is entitled Benny and Friends (after Benito Mussolini) and is my investigation into 27 20th century dictators. The project will encompass over 30 works, mostly paintings, but also some drawings and a lino cut printed in a limited edition. I also plan to make a limited edition book, a catalog of the works in the series. 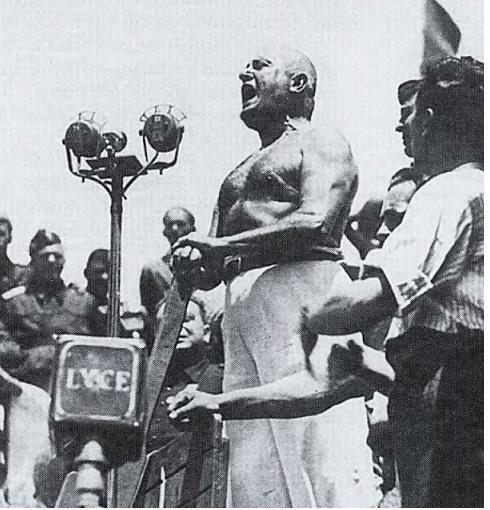 The book will also detail my research, telling a brief history of each of the dictators in the project, focusing on their eccentricities and excesses. Finally, I will compose a sound art piece to accompany the potential exhibition. This sound collage will be made up of original music and samples of such things as speeches made by dictators, the sounds of marching boots, explosions, military marches, etc., all sounds that a dictator might approve of.